As an Au pair in the Netherlands, you will experience true European Culture and Lifestyle. You will become a valued family member and meet many new friends. Au pairs will live with a family for a period of 12 months. During this year Au pairs will be able to travel and gain valuable life experience. OVC works hand in hand with our overseas agents in order to ensure each Au pair has a successful and enjoyable year abroad. Our partners carefully screen the host families, prior to selection and arrival of the Au pair. Au pairs depart from January through to December. 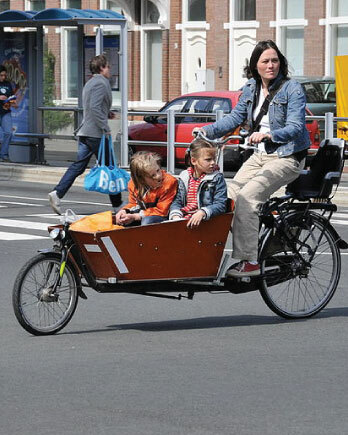 Visas are applied for in the Netherlands by the host family and take approximately 2 weeks to one month to be approved. OVC will assist with all paperwork and visa needs. All fees for the interview and application process are non-refundable. Once placed in a family, OVC will assist with the application to obtain your visa. Once you have your visa, we will assist in the booking of your airline ticket and you will be on your way to the Netherlands. Au pairing is an enriching and rewarding experience. It teaches young people to become independent and gain valuable life experience. The program is recommended to any young South African who has a great love for children and would like the opportunity to experience a lifestyle and culture different to their own. As an au pair, you will have some free time in which to travel and see the sights of the Netherlands and the rest of Europe. In the Netherlands, one of the most popular modes of transport is by bicycle, so try and practice as much as possible before departure as this will become your favourite mode of transport! This experience will open up a world of opportunities and help shape your future. Can you ride a bicycle/willing to learn?